There’s a lot of dolphin biting in Fort Lauderdale this week. 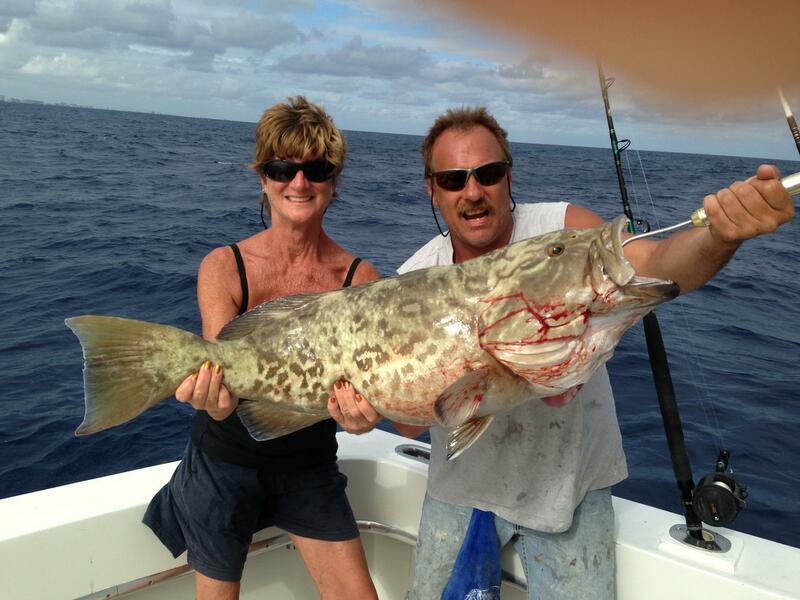 Our drift fishing trips and our sportfishing charters are both catching them. Dolphin come in close to shore when the winds blow and the ocean gets choppy. We’ve had some strong winds the past couple weeks which has pushed the dolphin in and has gotten them chewing. Dolphin aren’t picky eaters. They eat just about any bait you put in front of them, you just have to get a bait in front of their face. We’re finding dolphin anywhere from 100-400ft of water, just 1-2 miles offshore the Fort Lauderdale beach. 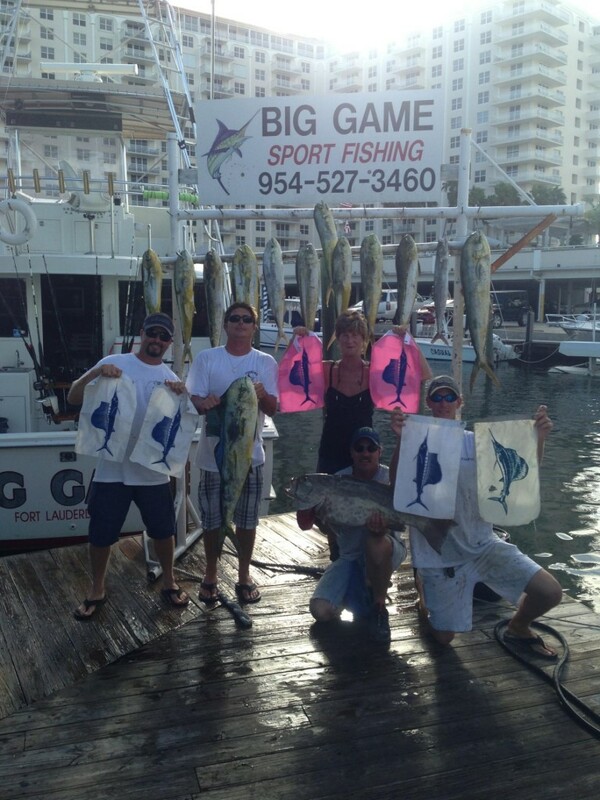 This is the prime fishing area not just for dolphin, but for everything from snappers and groupers, to wahoo, tuna and sailfish. Our drift boat, the Catch My Drift is coming in with some good dolphin fishing catches. 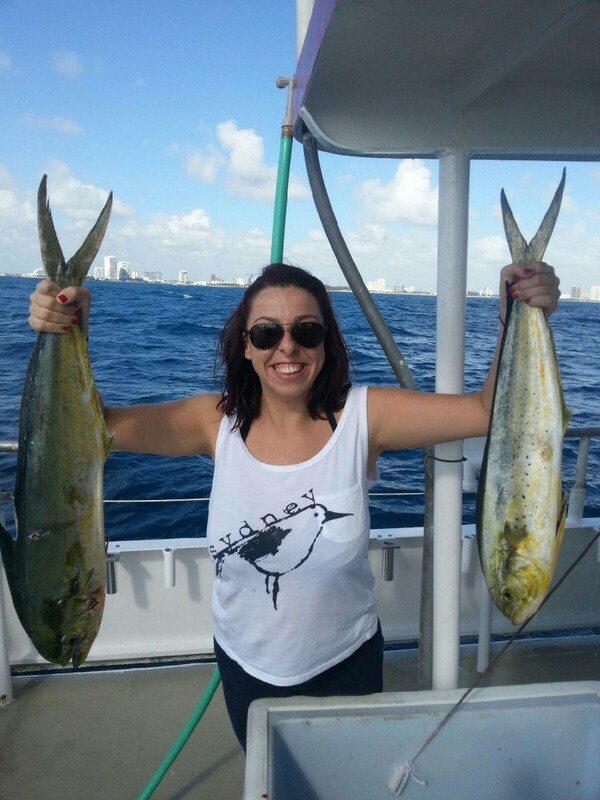 The dolphin are averaging 5-8 pounds, which are nice size schoolie dolphins. The best method for us this week is to keep a pitch bait ready to go and pitch it out when we see a dolphin or 2 approach the boat. Dolphin are bright yellow and iridescent blue in the water, turning to a darker green and duller yellow once caught. 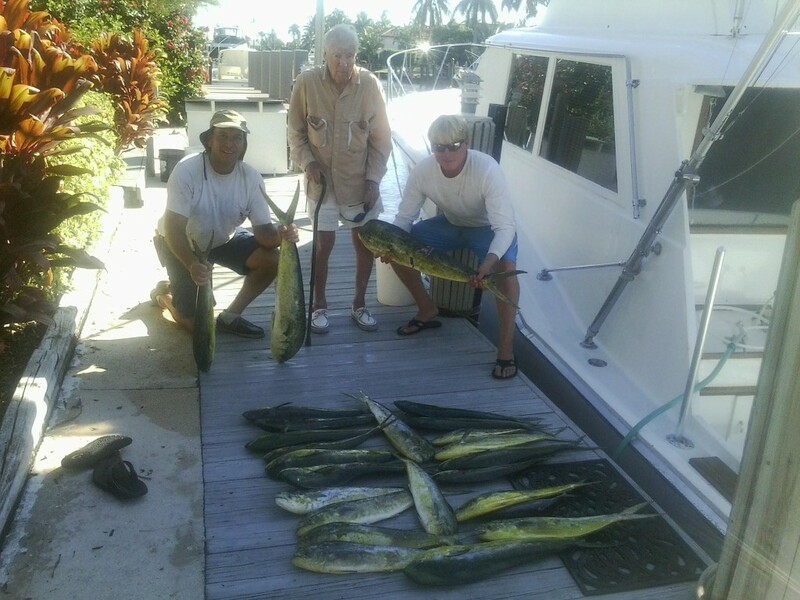 This week on the Catch My Drift, we’re averaging anywhere from 3-5 dolphin per trip and sometimes more. The dolphin bite usually peaks in mid-December, but will continue with scattered fish throughout the winter months. 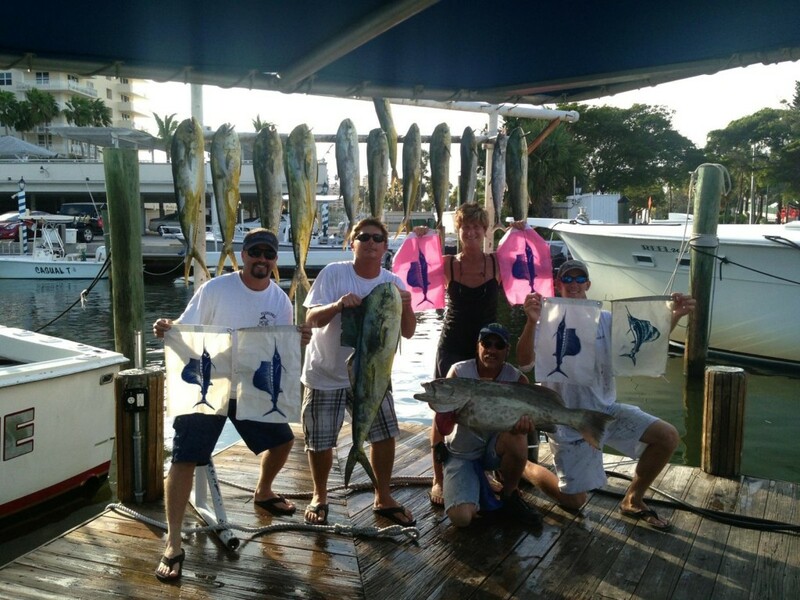 Our sportfishing charter boats have the advantage in catching dolphin because they can go trolling. 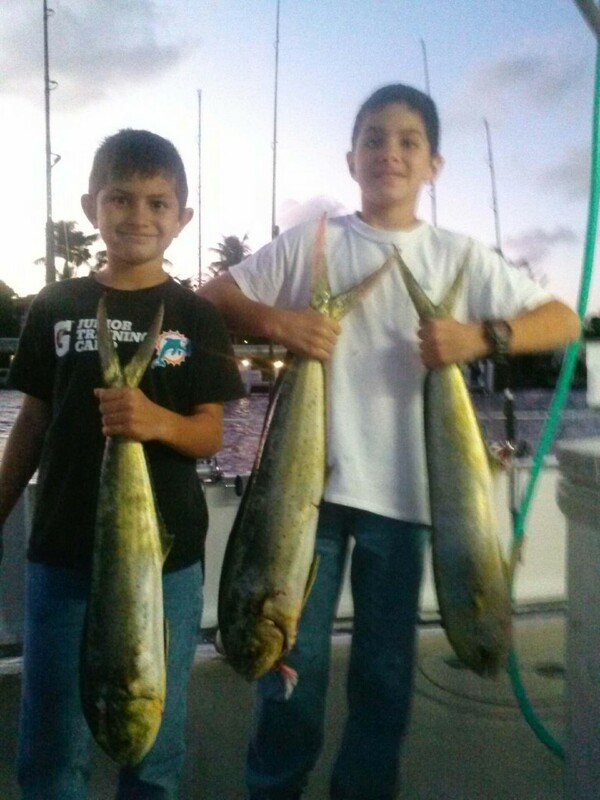 Trolling is a very effective method to catch dolphin in Fort Lauderdale because by trolling, you can cover the most ground, increasing your chances immensely for finding a school of them, or at least as many scattered dolphin as possible. We’re finding a lot of small dolphin schools, made up of 2-3 fish, swimming down the edge of the gulfstream or on the deep side of the reef. Kite fishing, which we do in these same general fishing grounds, is another very effective way to catch dolphin, especially the big ones. 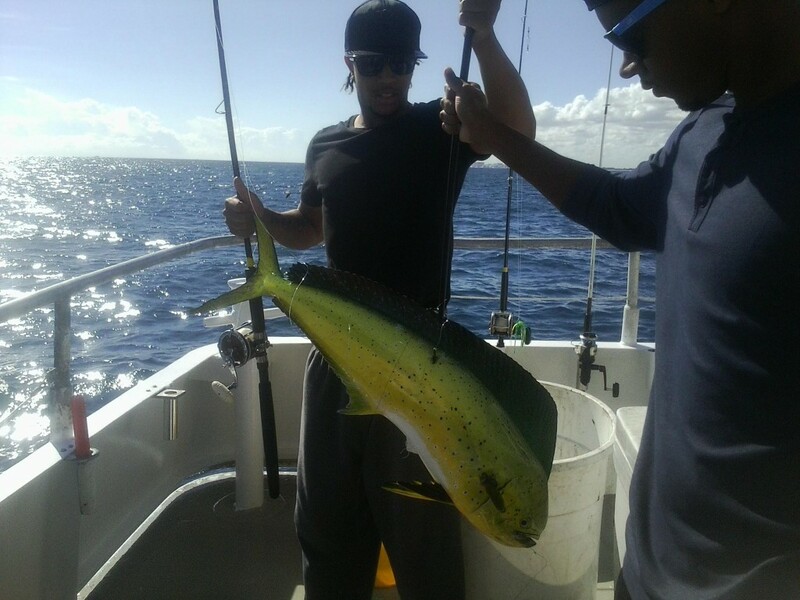 We’re catching mostly nice size schoolie dolphins, but there are a few big bulls coming through our waters. All in all, it’s a great season of the year to come fishing and the chances of hitting some dolphin is much greater than average. The fish are out there, you just have to go out there and put some baits in front of their noses. Good luck to everyone fishing this week! It’s been another excellent week of Fort Lauderdale fishing. The dolphin and sailfish bite is still going strong with no signs of slowing down. Kite fishing for sailfish is all but a sure thing this time of year and the Fishing Headquarters boats are slamming the fleet. We’ve caught over a dozen sailfish in the past 3 days on our sportfishing charters and a couple more on our drift fishing trips. Dolphin too are biting great, coming right in on the reef and biting in 100-150ft of water. Again, we’re catching them on the drift fishing trips and the sportfishing charters. The strong winds are kicking up the fish and making them bite great. 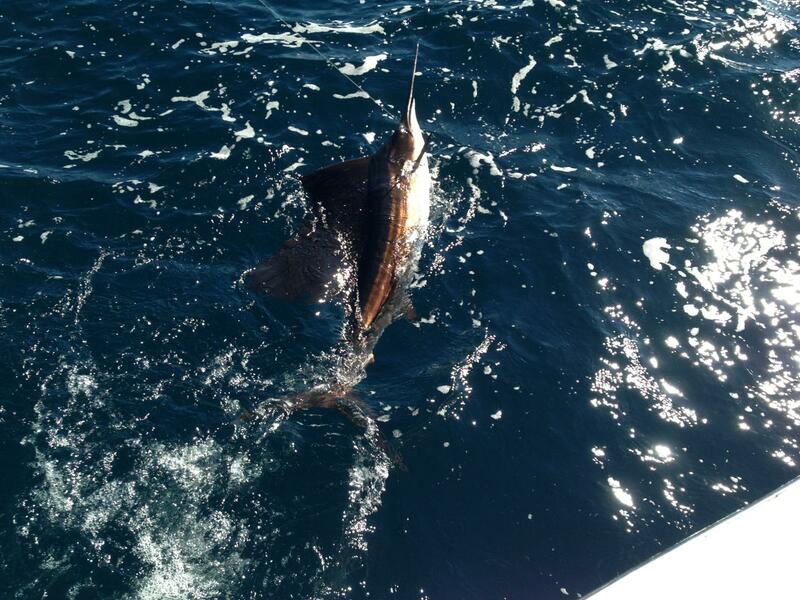 Sailfish caught and released aboard the Out of the Blue. 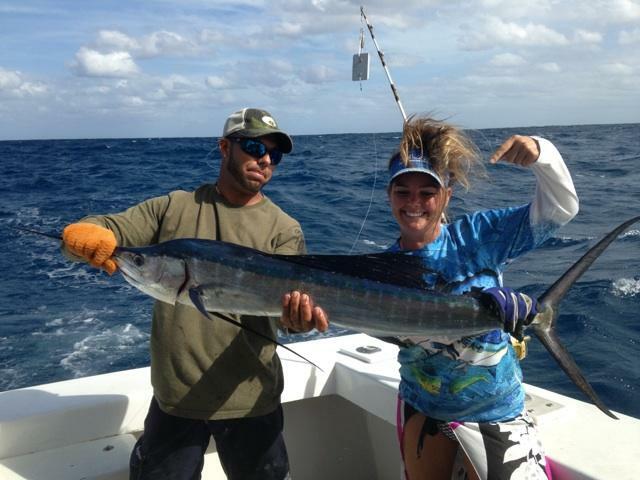 Sailfish and dolphin are awesome, but they aren’t the only species biting. 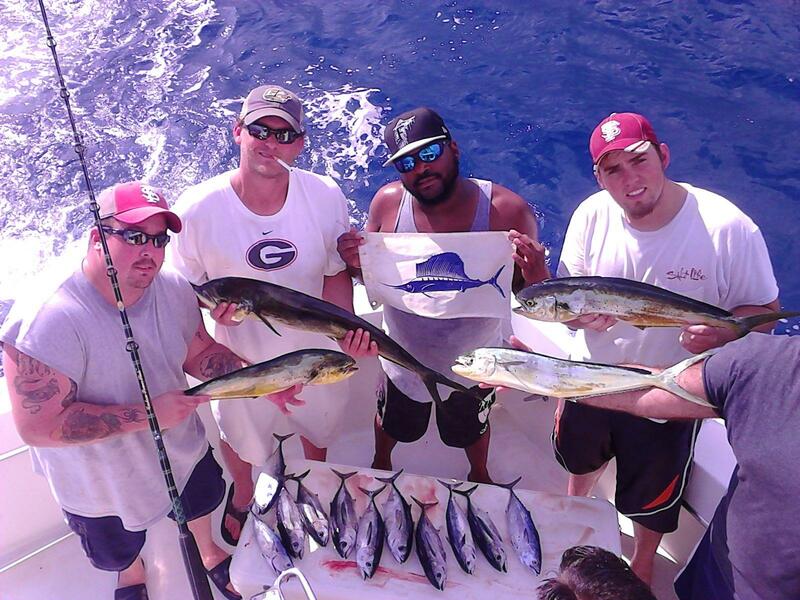 We’re also catching a lot of small to medium sized blackfin tunas, some kingfish and some big game sharks. 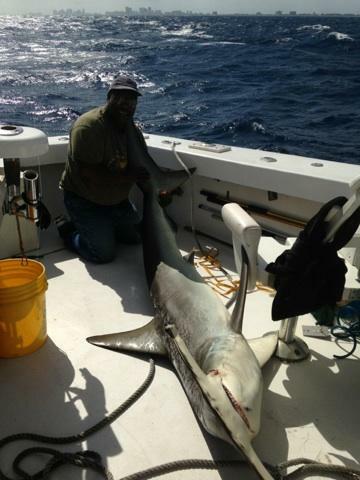 This big hammerhead was caught and released by Earnest, a lucky angler from Washington D.C.. What a monster! Also the football sized blackfin tunas are schooling up and biting natural feathers and small lures trolled on the outside edge of the reef. There’s plenty of action no matter what style of fishing your doing.